On Tuesday, April 2nd, Ohio Senators Sherrod Brown and Rob Portman, introduced the Work Opportunity Tax Credit & Jobs Act to the senate. WOTC, as it currently stands, is set to expire on December 31st, 2019. 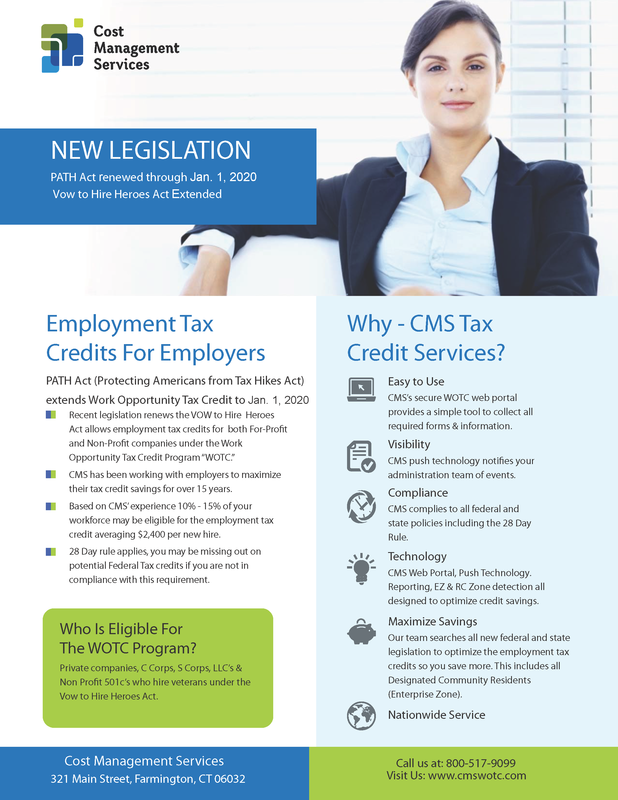 The Work Opportunity Tax Credit provides employers credit between $1,200 and $9,600 per employee for hiring and retaining workers that are part of populations that face difficulty in finding jobs. CMS’s Brian Kelly, said the proposal makes perfect sense. WOTC activity has been hot in 2019 with additional proposals from Sen. Rosen to promote hiring student veterans and Senator Casey Seeks Expansion of the Work Opportunity Tax Credit. This entry was posted in WOTC News and tagged bill, Bipartisan Bill Proposes Permanent Extension of the Work Opportunity Tax Credit, permenent, Renewal, senate, Senators Sherrod Brown and Rob Portman, Work Opportunity Tax Credit, WOTC. Bookmark the permalink. ← WOTC Questions: It looks like salaried/exempt employees are eligible for WOTC? Forms must be submitted within 28 calendar days of the employee’s start date.